This is a thank you gift from Ramblen for my participation in their online magazine as a contributor. This is my first experience with ACURE ORGANICS and I must say that I am very impressed with the products. I have so much hair on my head probably enough for three or four people so it is difficult to find products that cover my hair in one application. The ACURE ORGANICS TROPICAL CITRUS ARGAN OIL CASTILE SOAP did a great job sudsing and lathering to clean my locs. I thought that I might need three shampoos but two lathers with the yummy fruity essential oils was sufficient. After shampooing and rinsing my locs, I applied the ACURE ARGAN OIL 100% CERTIFIED ORGANIC MOROCCAN for deep conditioning. It is very thick and I probably used too much of it. As I stated before I did not think that it would cover all of my hair. I probably used about 1/4 of the bottle of serum which too much. It is a very heavy oil that penetrates deeply into the hair follicles. 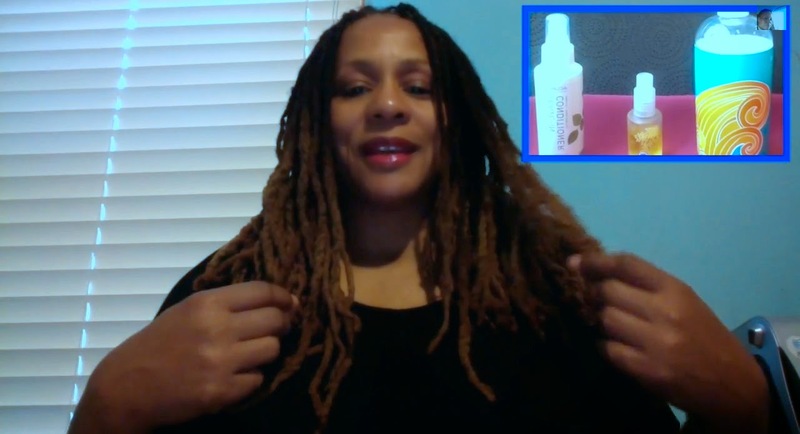 The final product I used on my locs was the ACURE LEAVE-IN CONDITIONER ARGRAN OIL + ARGRAN STEM CELL. I did not need to use as much of this product as I anticipated, it covered my thick hair very well. I was very pleased with the results of these ACURE ORGANICS on my long thick locs and look forward to the next beauty treatment. Thank you Ramblen for the gift box of ACURE ORGANICS. The below video is my first attempt at doing a beauty products review. Watch, like comment and subscribe. Please comment your thoughts on the youtube channel to let me know how I can improve for my next review. I am an Amazon Affiliate, please support my online store my shopping and clicking on the items below. You may purchase any items from Amazon not just the products that I recommend. Thanks for your support.